Discussion in 'Plastering and Rendering' started by Jakg, 20 Jan 2019. 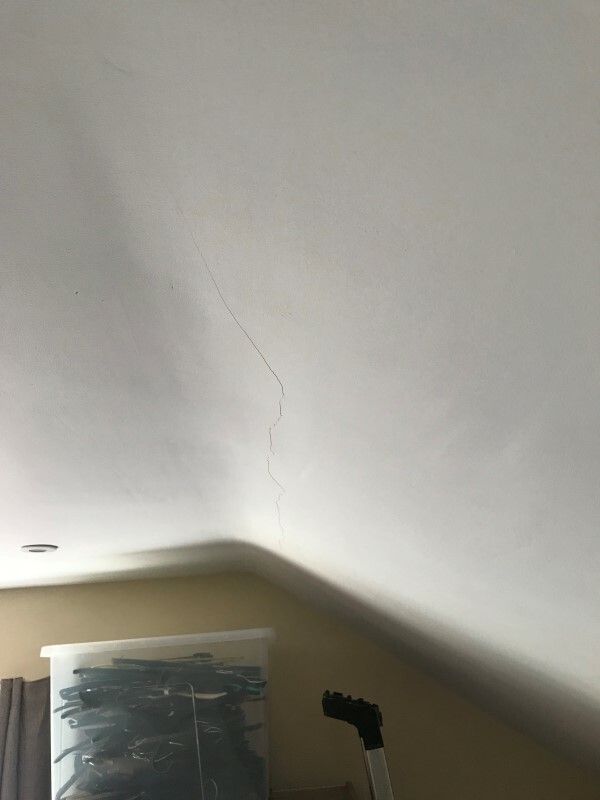 Just noticed a large crack in the ceiling. Difficult to get a good photo of unfortunately - it's very obvious from certain angles and goes over half way across the room. I did the boarding (12.5mm boards straight onto the joists) and a plasterer did a skim inc the curve. Did I do the boarding wrong? Was the plasterers mix not correct? Or is it just thermal expansion / contraction? 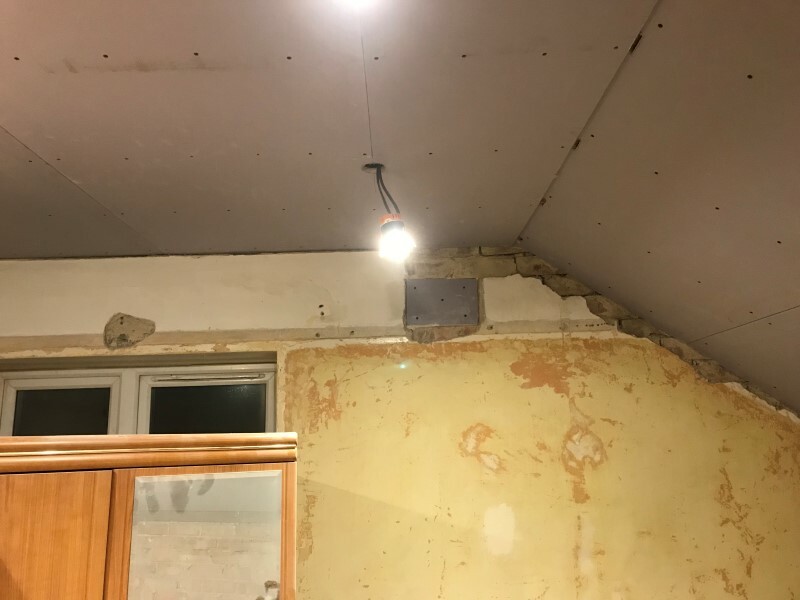 Not planning on contacting the plasterer but would be interested to know for the future. My plan to fix is to sand and fill with polyfilla a couple of times until smooth and then paint it and hope it holds up. I had a similar problem in one corner of a bedroom ceiling the crack was about 4ft. 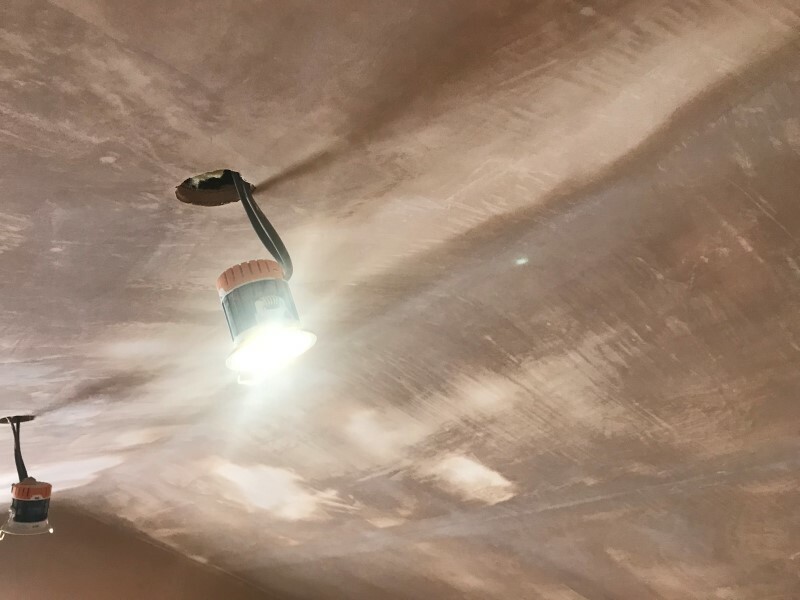 Had the plasterer out and he filled and smoothed it with jointing compound - a few moths later it failed again. I decided the best option was for me to have a go! I used a bladed scraper to make a wide surface scrape out of the plaster just a millimetre or so deep. Then using jointing compound, filled and smoothed+the crack, then pva’d the whole scrapped out section, I stuck that jointing tape that is like a plastic gauze over it, followed by jointing compound to fill and finish off. That was a year ago now and no sign of cracking. However, I also went into the loft to ensure there was no movement in the ceiling joists - I couldn’t feel any but did bind a length of timber to each of the joists in that section, just in case.